For the first time, a book of Cavalié Mercer’s paintings is available in the UK exclusively though this site, sold in aid of the Mercer Grave Restoration project. Exclusively available in the UK for the first time! 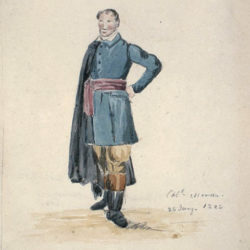 British Artillery officer Alexander Cavalié Mercer is most famous for his detailed account of his experiences leading up to and including the Battle of Waterloo in 1815. Fewer know him as an amateur artist, but Mercer often composed what he called “souvenirs”, paintings and sketches of his postings in Europe and North America. While posted in Halifax, Mercer painted nearly 80 watercolours of the area between 1838 and 1842. Halifax in Watercolour showcases 50 of Mercer’s best sketches, including paintings of the Citadel, the Commons, Artillery Park, Bedford Basin, Dartmouth, and the Northwest Arm. Additional photographs, maps, and historical context from author Glenn Devanney help the reader situate the site of the painting in the present-day. This is Halifax and history as it was before photographs, a visual treasure trove of the time. Most Waterloo afficianados will know of the black and white head portrait of Mercer. In this book Glenn Devanney has uncovered a full-length colour portrait of Mercer. There will be more on that in a future blog, but you can secure your copy in the book! “There are only a handful of cities in Canada with a history as rich and deep as that of Halifax. As a key deepwater port for the British Empire, the city was at the heart of many major movements and conflicts. 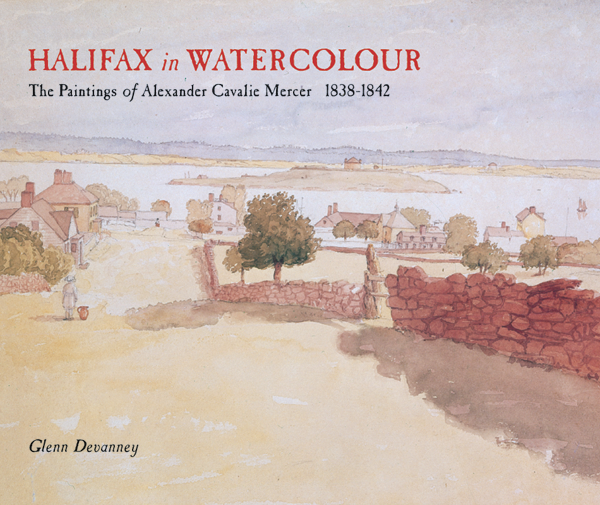 In Halifax in Watercolour, Glenn Devanney takes readers on a visual journey back to early-to-mid-1800s Halifax as seen through the eyes — and the paintbrush — of watercolourist Alexander Cavalié Mercer. 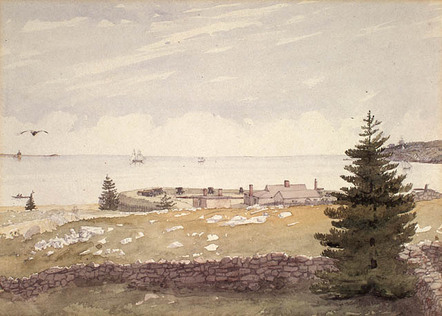 A British artillery officer who fought against Napoleon at Waterloo, Mercer visited Halifax for only a short time, but his output was extremely productive — more than eighty paintings of landscapes, street scenes, and coastal views. We have 100 exclusive new copies waiting to find good homes in the UK! This book, published in Canada by Nimbus Publishing is only available through this website and is not available in UK bookshops, Waterstones or Amazon.co.uk. To secure your copy, just complete the form below, either e-mail it or send it to us, together with your £20 cheque or pay by Paypal. UK Postage is free, and your book will be sent promptly in a protective Jiffy bag. Please ask if you require overseas delivery. For an extra £5 you can add a copy of Gordon Read’s dramatic poem on the 27th Inniskillings at Waterloo. More on the book here. Please email me if you would like any copies Christmas or Birthday gift-wrapped and sent with a message of your choice; I’m happy to oblige! 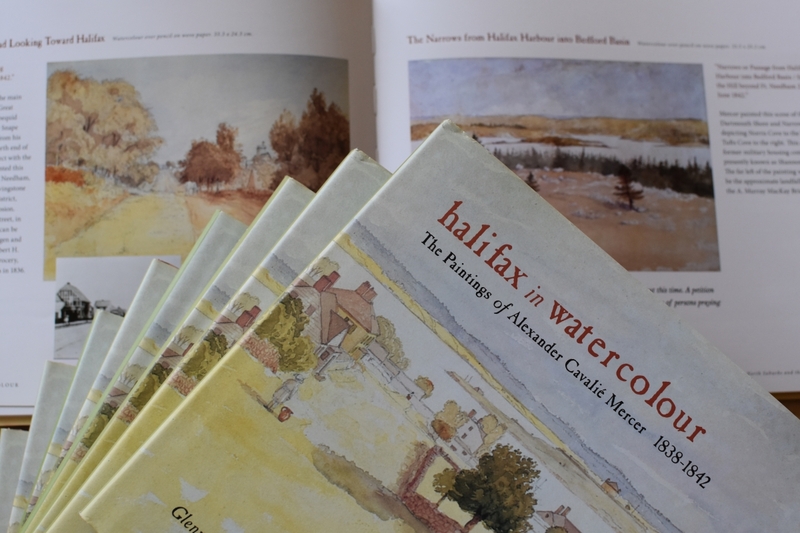 Please send me: 012345 copies of "Halifax in Watercolour. The Paintings of Alexander Cavalié Mercer 1838-1842, by Glenn Devanney" at £20 each (UK postage included). Profit of £10 per sale to be donated to the Mercer Grave Restoration project. 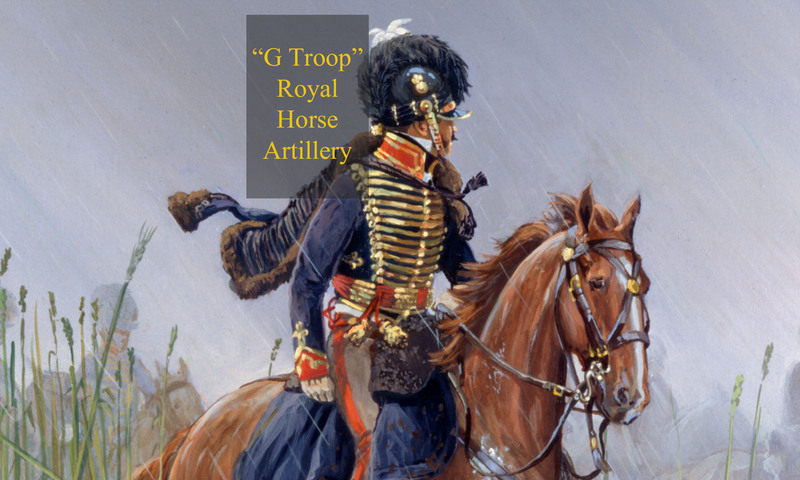 Please send me: 012345 copies of "The Way of War in the Search For Peace, the 27th (Inniskilling) Regiment at Waterloo, a poem by Gordon Read" at £5 each (UK postage included). £5 per sale to be donated to the Mercer Grave Restoration project. I am enclosing a cheque to the value of made payable to "G Troop RHA" and posted to G Troop RHA, Hamilton House, 9 Old Rydon Ley, Exeter EX2 7UA. (Please print and send with your payment). I am paying the following amount via Paypal . Payment made by Paypal to donations@gtrooprha.co.uk (please use your surname as a reference) or use the drop-down below to pay directly online. Next PostNext Waterloo & Mercer talks 6th June!